As mainland China’s first World Fair Trade certified company, our mission is to assist rural families in raising their standard of living. 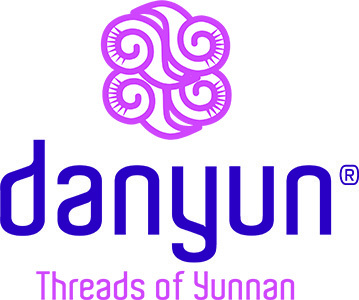 Threads of Yunnan, was initiated in 1999. The project provides an opportunity for women to break out of the cycle of poverty which grips the dull and gray mountain villages. The only colors that brighten the villager’s are found in their clothing and their embroidery. The designs and colors the women use are a traditional part of their culture and an expression of their love for beauty. The project is centered in a resettlement village where earthquake victims from five different villages had been relocated. Through the sales of their handicraft production, the nearly 200 women who are now a part of the project can earn cash income which they can use to buy daily necessities and invest in their family’s future. Threads of Yunnan handicraft project is a member of the World Fair Trade Organizaton (WFTO). The price for each embroidery is determined in consultation with the women, and compared with the Fair Trade payment system to ensure that the women are getting a fair payment for their work. 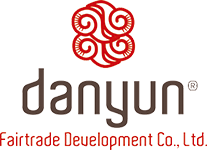 Danyun ensures consistent quality, creates new designs and markets the products worldwide. The women are arranged into small groups, with a group leader who inspects their work and regularly meets with Danyun’s staff for special training that they can pass on to their group. The group leaders also work one day a week in the training center where the artisans can meet to embroider, be involved in final production work and buy fabric and thread. The project has during the years increased into including women from other nearby villages as well as reaching out to small producer groups in other parts of Yunnan. You are welcome to visit our shop and see the products.